Home Guides What Happens if My Tax Return is Late? 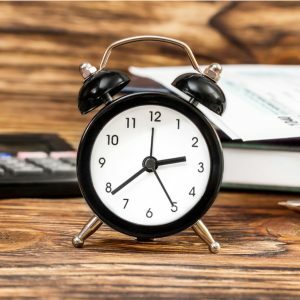 Tax time seems to come around quickly each year, and it’s easy to leave things until the last minute. But submitting your tax return late can be a costly process. Avoid getting into trouble with HMRC and give our guide a read to make sure you don’t miss a deadline. Why do I need to submit a tax return? Your return is used to report details of your income, any capital gains and to claim for tax allowances. As a member of the CIS, you’re responsible for submitting your finances to HMRC. This includes details about your earnings and any expenses. HMRC will contact you if you need to submit a tax return. However, if you work in the construction industry and you haven’t heard anything, you can check your eligibility here. The deadline for submitting the paper return is 31st October. If you’re submitting an electronic self-assessment tax return, you have until 31st January. You can find all of the important deadlines in our guide to key tax dates. What if my tax return is late? If HMRC receive your tax return late, you will automatically incur a £100 penalty even if you have no tax to pay or the tax due is paid after three months. An additional penalty of £10 per day will be incurred for each additional day your return is late up to a total of £900. If your return is more than 6 months late, a further 5% penalty of tax is due, or £300 (whichever is greater). A further 5% or £300 will be incurred if your return is more than 12 months late. What if I have a legitimate reason for my tax return being late? If you have a reasonable excuse for your return being late (an illness or bereavement, for example), you can appeal against the penalty. You can find a list of reasonable excuses on HMRC’s website. The tax experts at Brian Alfred can take the hassle out of completing your tax return. We’ll handle the numbers, file the paperwork and get your tax rebate to you real quick. For more information about how we can help you, call us on 0800 464 0354 or drop the tax team an email on tax@brianalfred.co.uk.